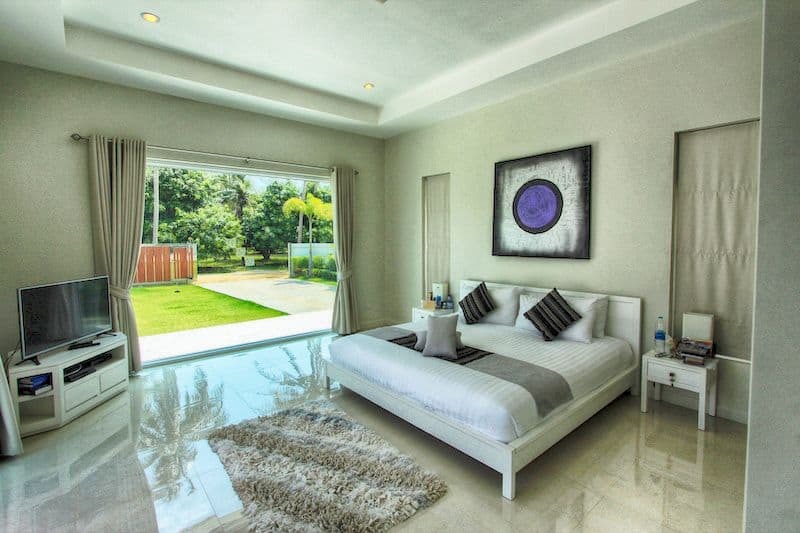 This lovely new development located about 800 m (300 m as the crow flys) from the popular Dolphin beaches and restaurants. 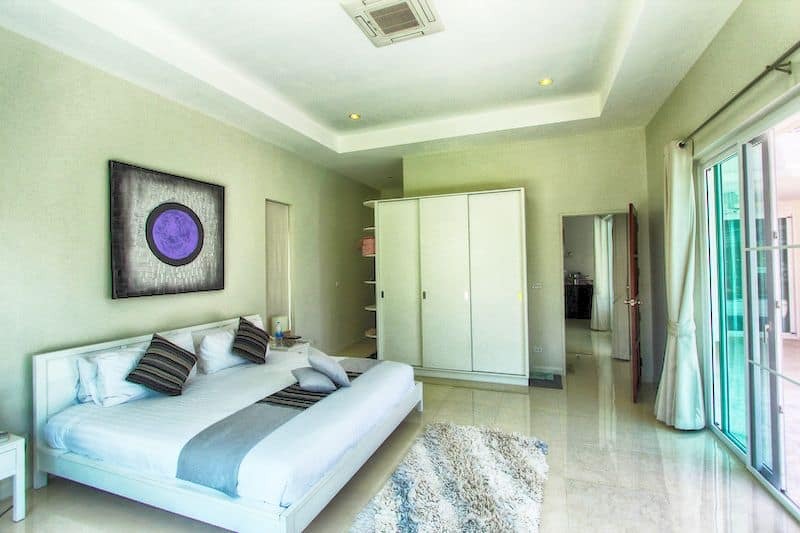 These quality homes are built to your specifications off-plan and a lot of space compared to other Hua Hin developments. 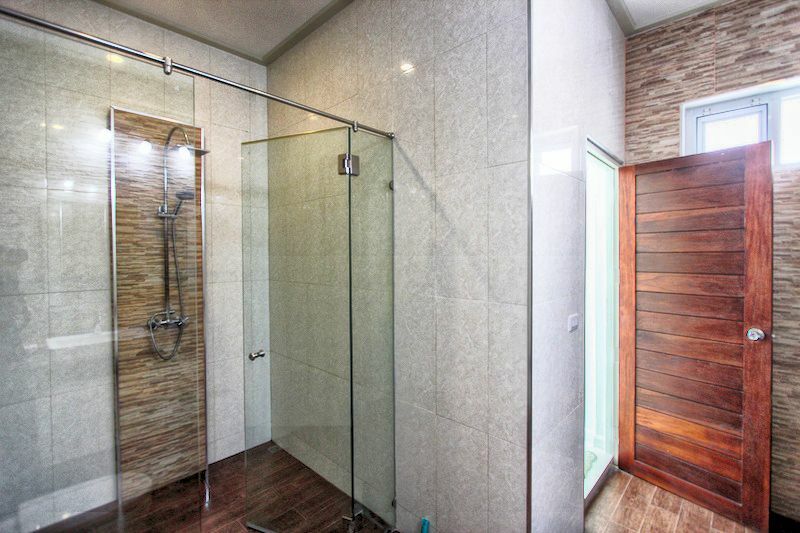 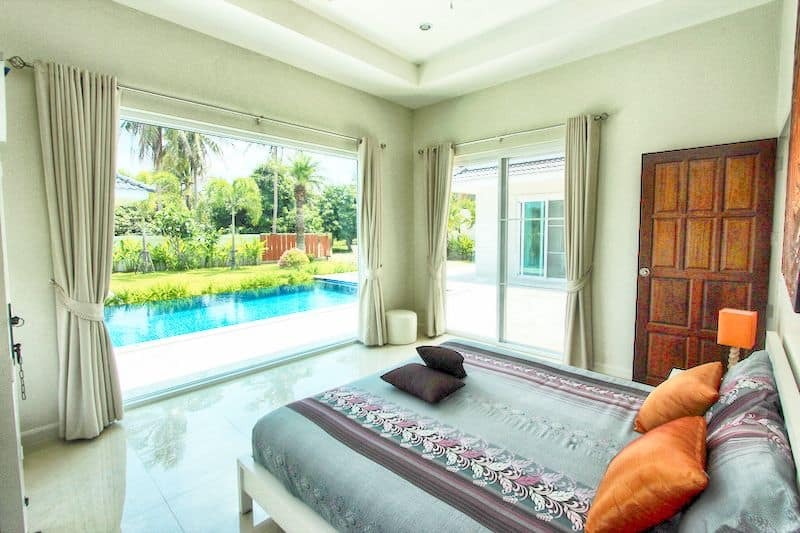 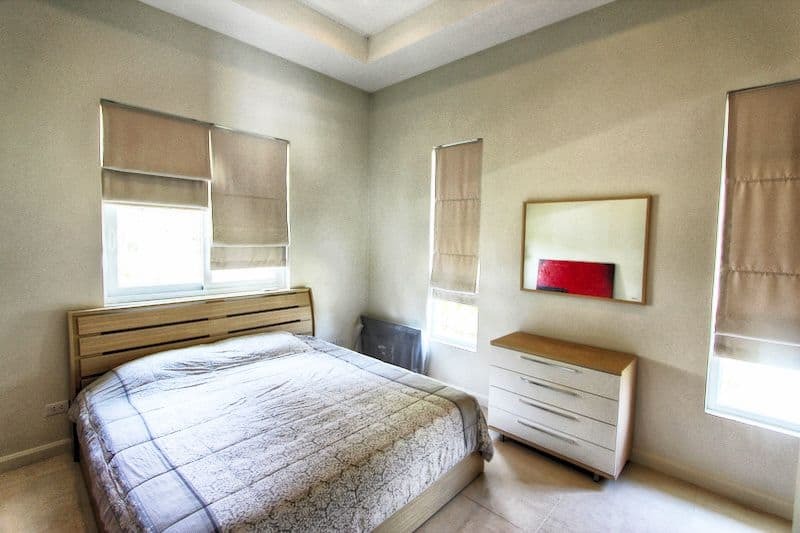 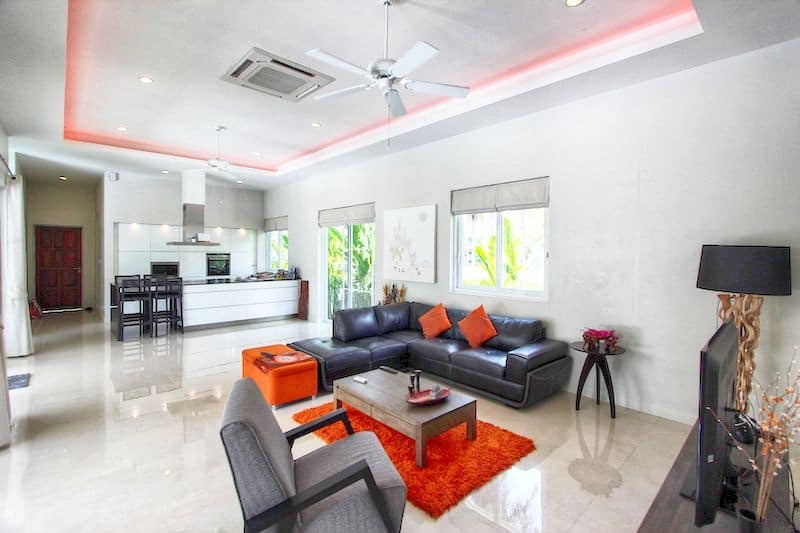 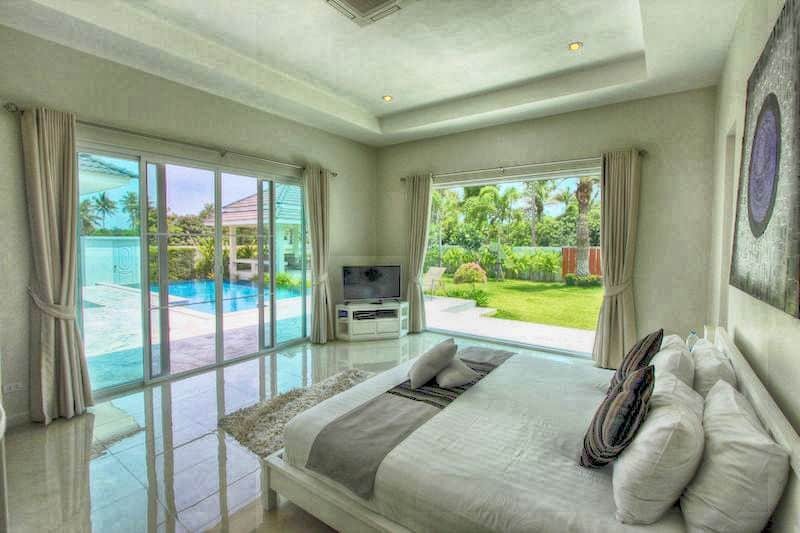 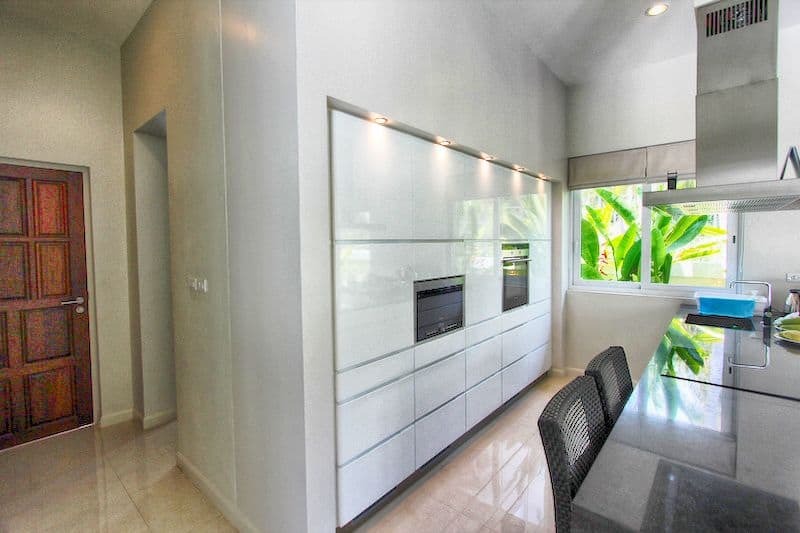 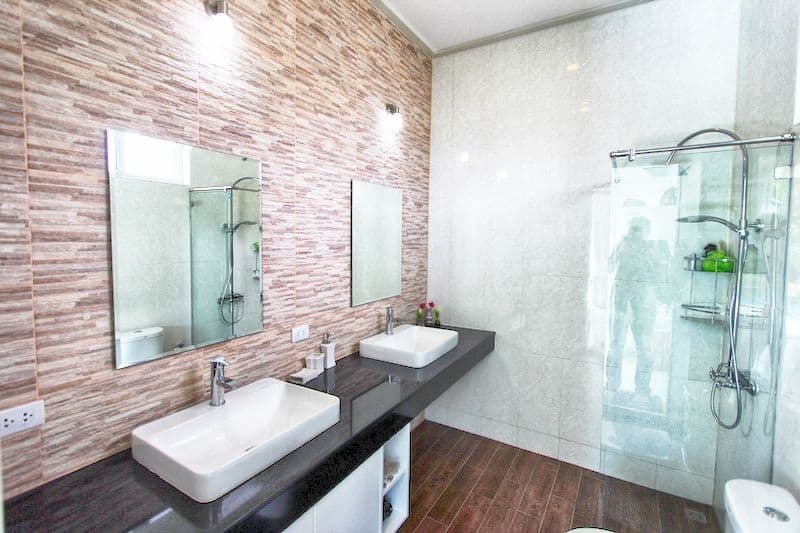 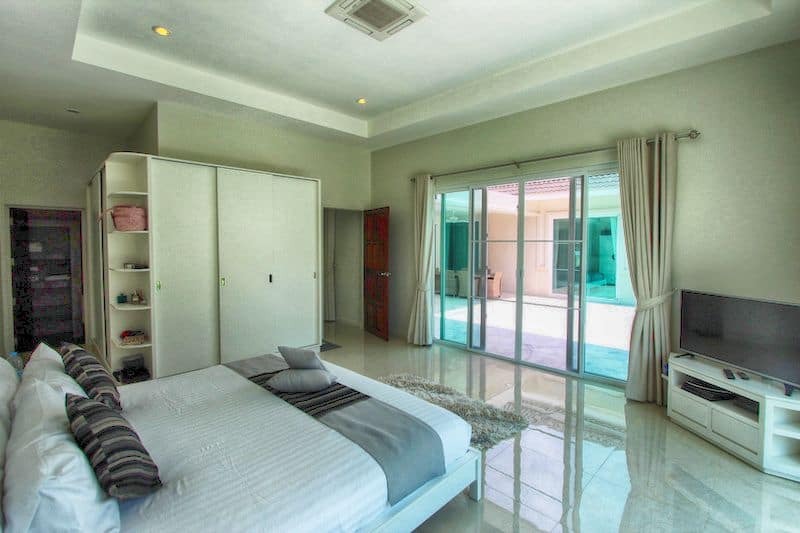 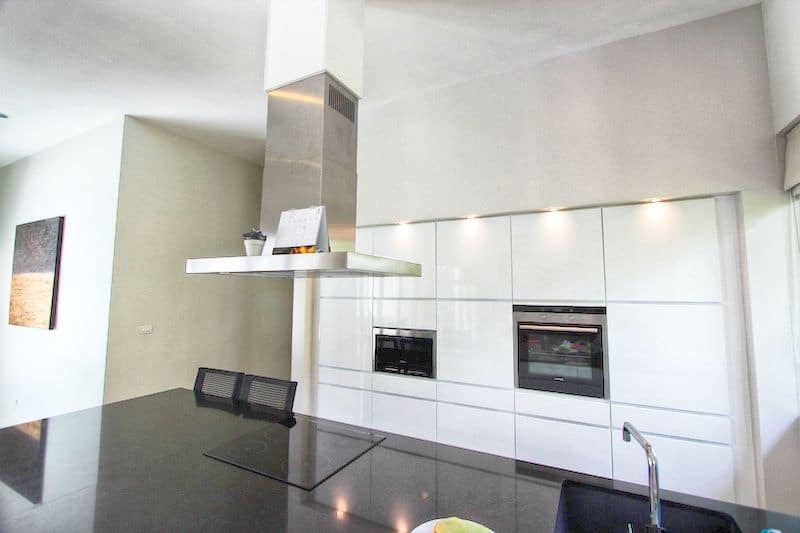 6.9 M THB starting price for a large 3 bedroom, 2 bathroom villa (231.4 sqm of living area) with 4 meter tall ceilings, swimming pools, integrated air-conditioning units, double insulation in the ceilings, 3-phase electric, 24 hour security, and low communal fees. 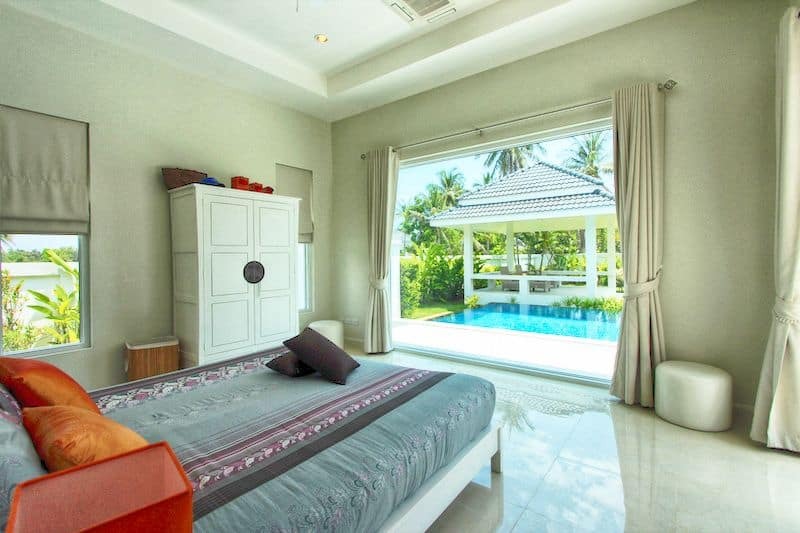 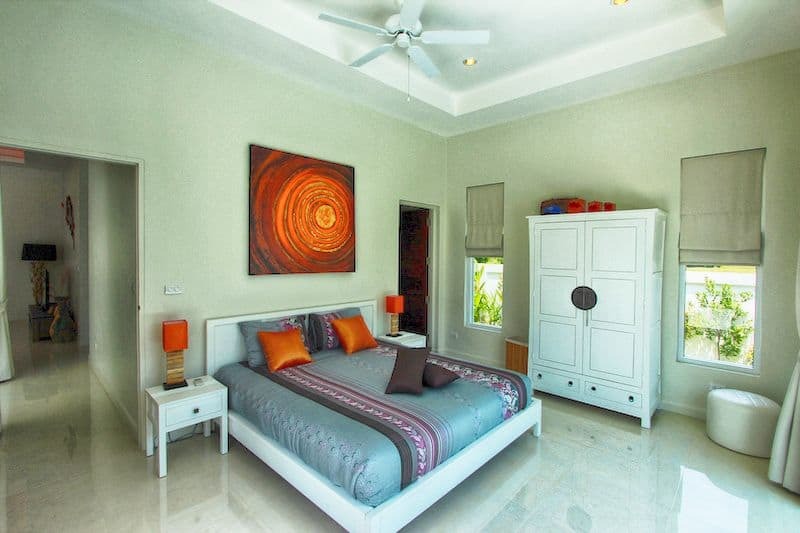 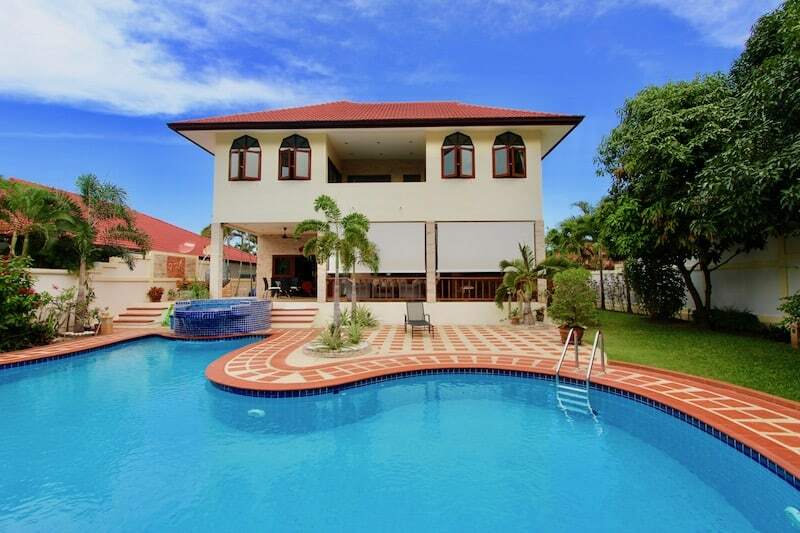 If you’re looking for affordable, yet high-quality home located in a quite and tranquil area near the beach, then you might want to consider touring the various options offered by White Beach Villas. 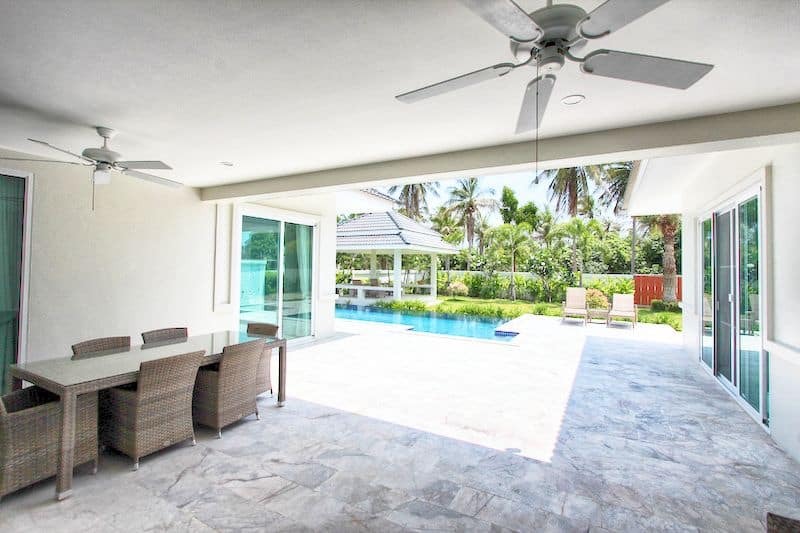 Each home comes standard with a salt-water swimming pool, LED lighting, western-quality kitchens and cabinets, large bedrooms, and landscaped gardens with automatic irrigation sprinkler system. 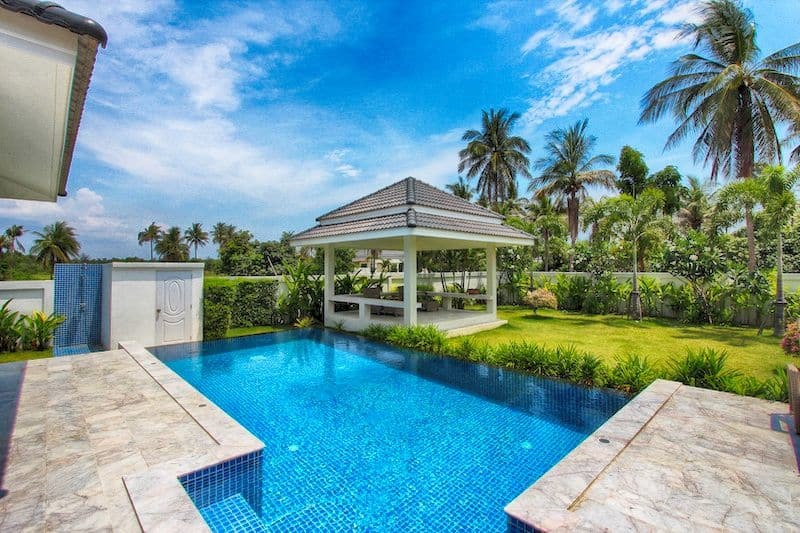 The development incorporates 8 meter wide roads for easy access to each home, large privacy walls, electric motorized entry gates, non-slip tiles around the pool and covered terraces, government water, and high-quality aluminum doors and windows. 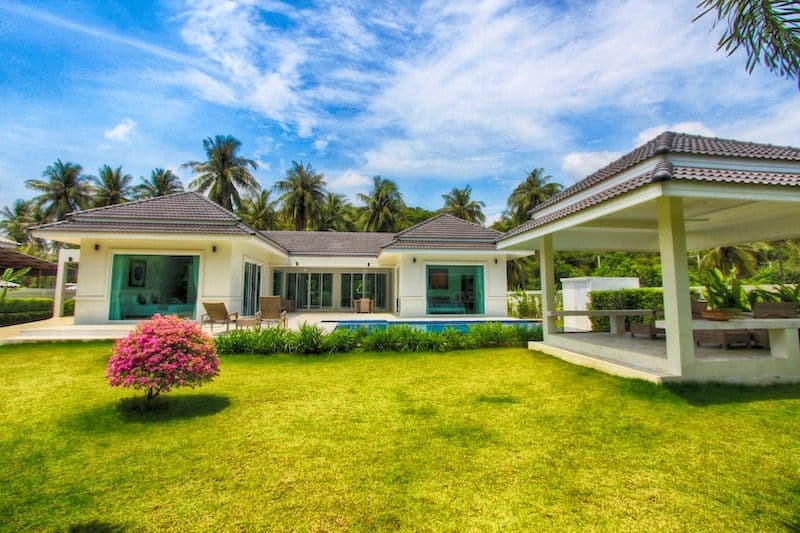 Each plot of land is on a registered full Chanote land title deed. 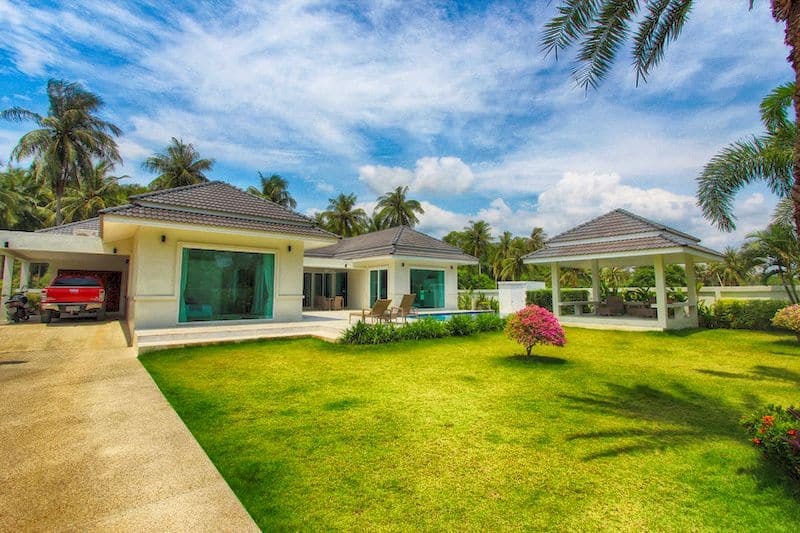 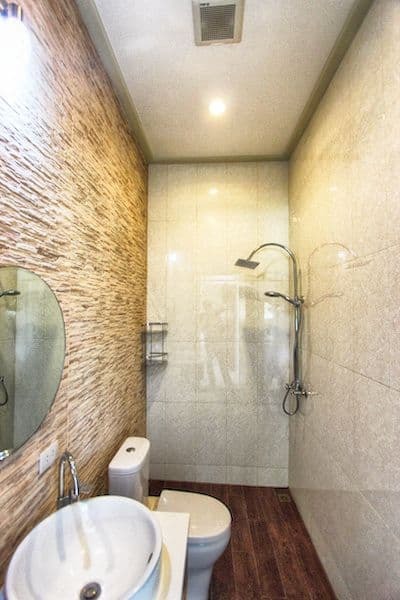 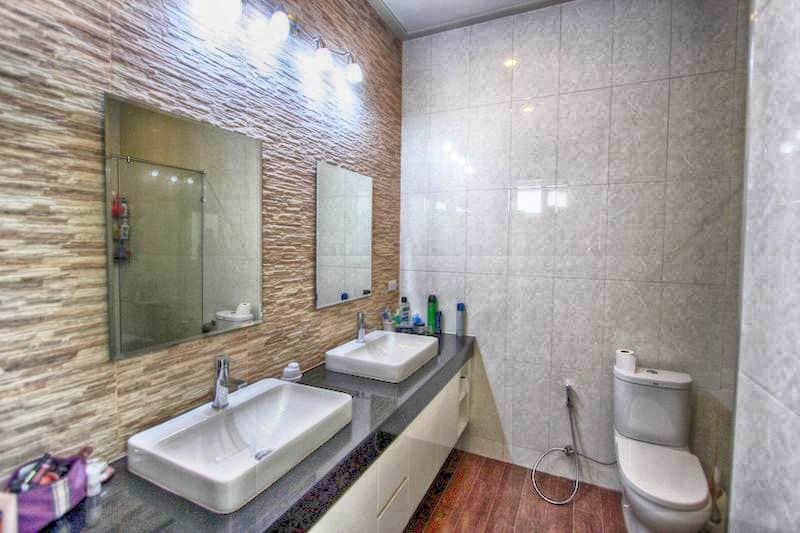 You can own your home either Freehold via Thai citizenship or via registered a Thai company. 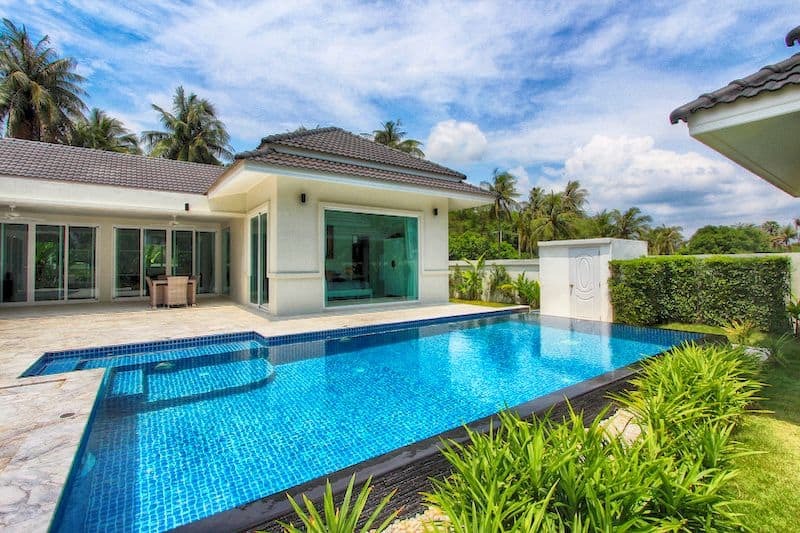 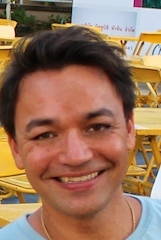 Non-rundown leasehold ownership is also available for non-Thai citizens.